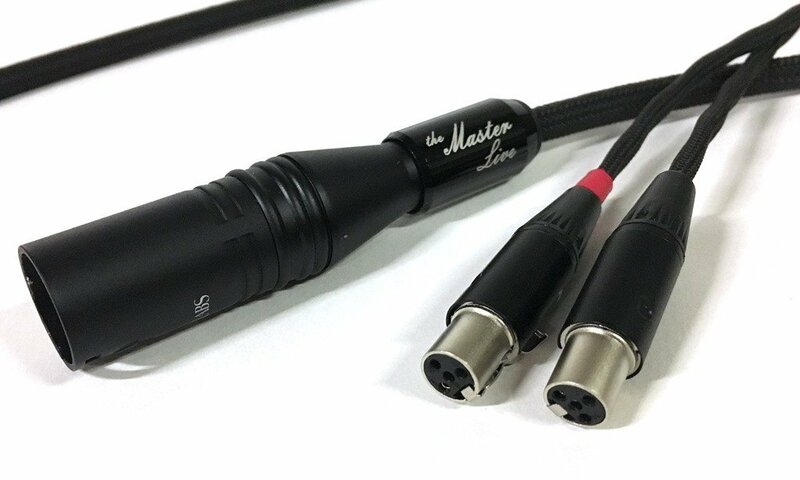 *The Master Live comes with two 9” inch extension adapters that are both terminated with a gold-plated 4 pin balanced XLR female connector on one end, and a 3.5mm stereo mini & ¼”/6.3mm on the source side. The TARA Labs Headphone Cable Series are a revolutionary new high-end audio cable series from TARA Labs. The Master live is an exceptional high-end audio headphone cable. High-res audio is typically 24-bit, with sampling frequencies of 88.2kHz, 96kHz and up to 192kHz. High resolution audio having file formats of FLAC (Free Lossless Audio Codec), ALAC (Apple Lossless Audio Codec), WAV, AIFF, are now easily available online, as well as high-res music coming from music servers. These formats offer the listener the ability to hear music as was truly intended with superior sound quality over compressed audio formats. And then there is vinyl! This tried and true music format is unmatched in music recording. As vinyl purists around the world can attest, analog recordings done correctly are as close to a live musical performance as you can get. High-end audio components, as well as comparable headphones, when paired with TARA Labs headphone cables, will truly ignite any audiophile who chooses this fantastic medium for their listening pleasures. What the listener will hear with the Master Live headphone audio cables is an extremely low noise floor. High frequency extension, exceptional details, full & rich mid-range and tightly defined bass that is full and has punch. Full range of sound frequencies are afforded to the listener, as well as exceptional soundstage that is holographic, quite spacious and precise. Spatial cues are well defined, with exceptional nuance of delicate details heard in the music. Musicality is phenomenal! Each TARA Labs headphone cable is custom hand-crafted at our factory in Oregon, USA, and lifetime guaranteed.